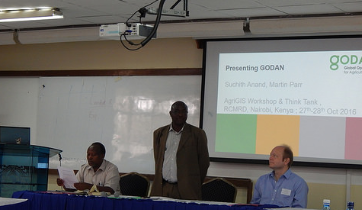 We are pleased to report on the success of AgriGIS Workshop & Think Tank meetings in Nairobi organised jointly by the The University of Nottingham, the Regional Centre for Mapping of Resources for Development (RCMRD), the Global Open Data for Agriculture and Nutrition (GODAN) and Crops for the Future (CFF) on October 27-28, 2016. 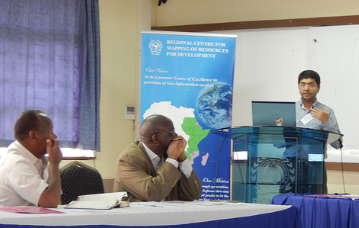 The objective of the event was to provide a forum for stakeholders in agricultural research organizations in Africa to share knowledge and propose strategies on improving the use of open data, open educational resources , free and open geospatial software with the aim to expand Capacity Building and Training in AgriGIS to support Global Food Security. 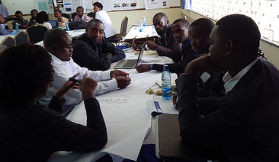 There was interest and support from participants for the need for Open Data in Agriculture and initiatives like GODAN . We are getting lot of emails of interest lot of colleagues in Africa expressing interest in follow up activities. 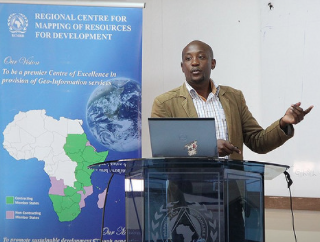 We are pleased to inform that Center for Agricultural Networking and Information Sharing (CANIS) , Kenya has volunteered to host the secretariat for the Think Tank for developing as a focal point for interaction with other stakeholders on Open GIS and open data and keep building the ideas from the ThinkTank. We thank Kiringai Kamau and colleagues at CANIS for their support. 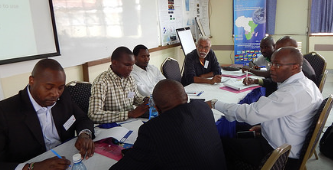 Please contact Kiringai (email – kiringai@gmail.com ) for expanding AgriGIS momentum in Kenya. We are also pleased to welcome CANIS as our new GeoforAll lab in Kenya. We are hoping to keep building the collaborations in AgriGIS to support Global Food Security. This entry was posted in Events, OSLabs, Policy and tagged AgriGIS, ThinkTank by Suchith Anand. Bookmark the permalink.